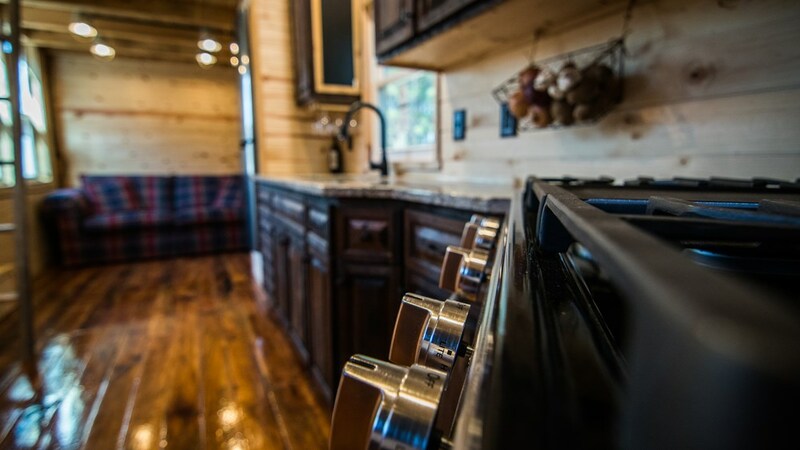 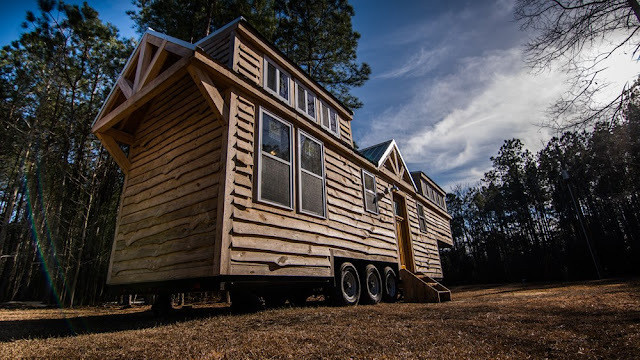 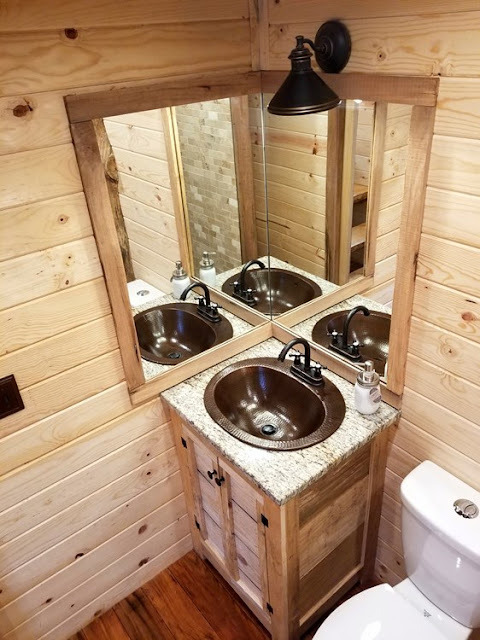 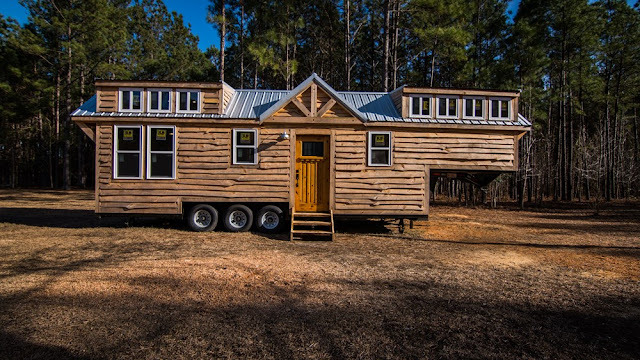 This beautiful, rustic tiny house is a custom build currently offered for sale in Conway, Georgia. 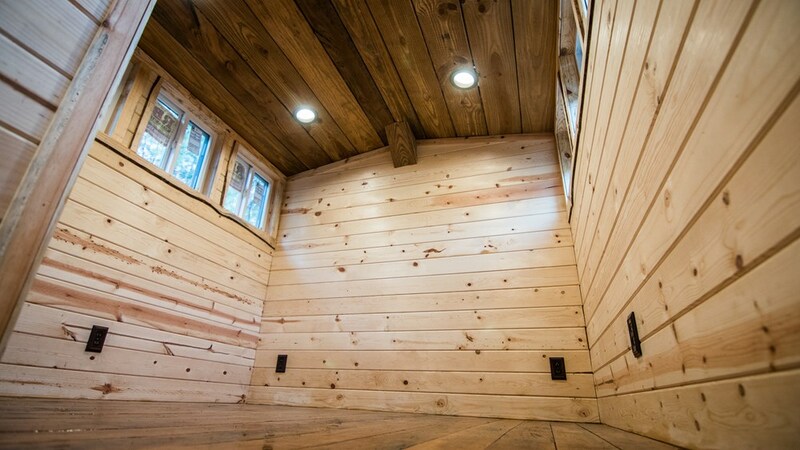 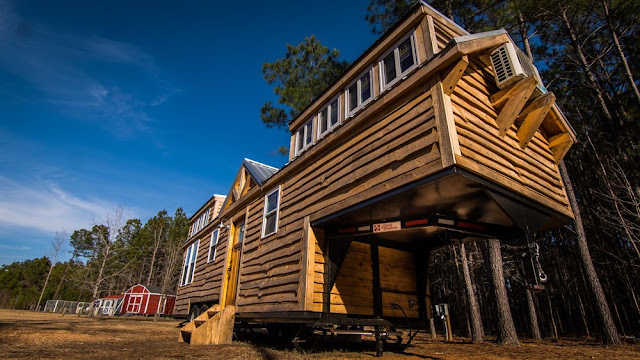 The 39' x 8'6" home is built to last and uses locally-sourced wood throughout its construction. 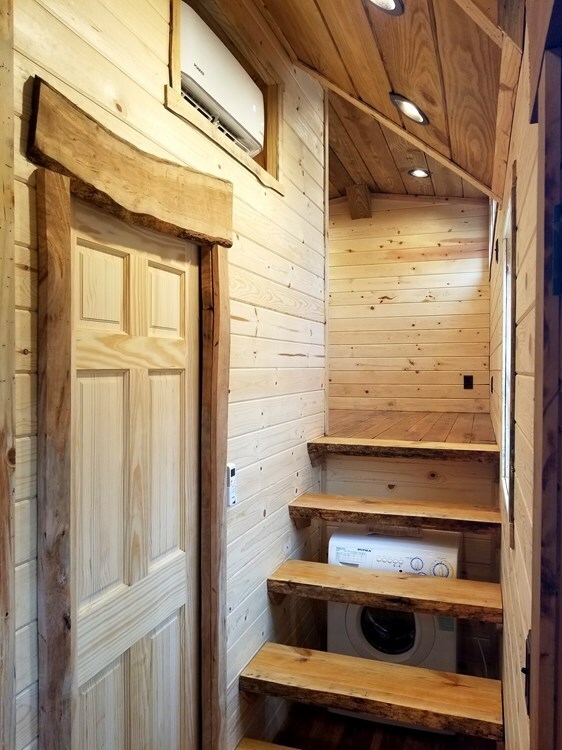 Inside are two loft bedrooms, pecan flooring throughout, a washer/dryer unit, and a tiled bathroom with a standard flush toilet. 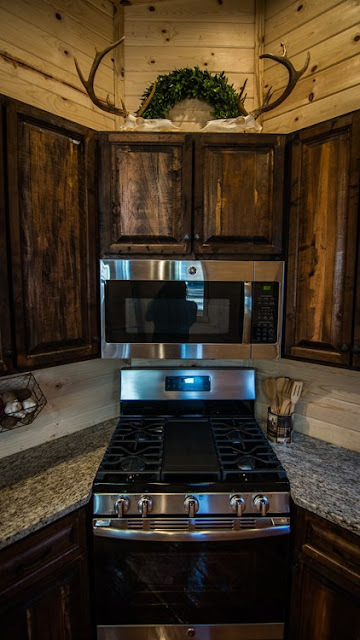 There's also a full kitchen that comes with beautiful granite countertops, a stainless steel sinks, custom cherry and pecan cabinets, a full-sized gas range, microwave, and an LG fridge. 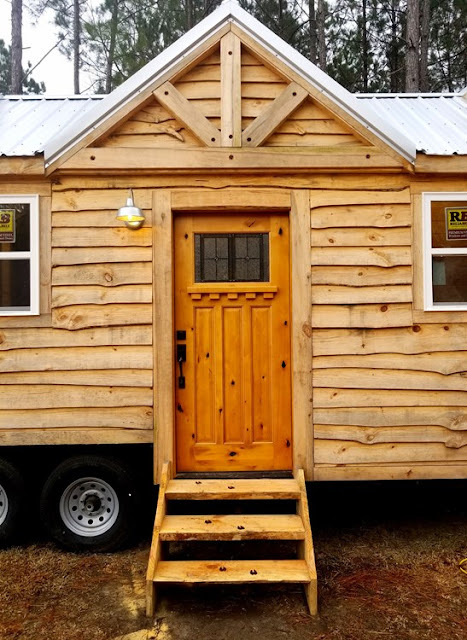 The home is currently available for sale here for $57,000.